I just closed the polls and topped out at 439 comments. Wow. Thank you all for leaving such nice, inspiring comments. 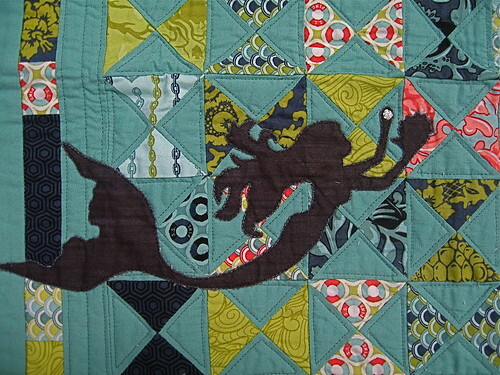 I'm glad so many of you found my blog through the giveaway, and I hope you'll come back every now and again! 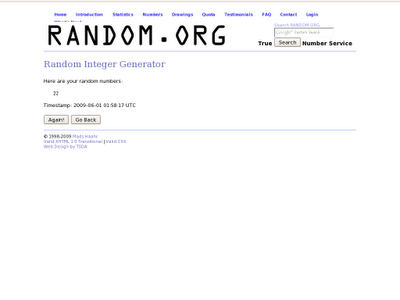 Take it away, Mr. Random Number Generator! Perfect! Anne, I'll be in touch to get your mailing address shortly ... and then the bookkeeper and Moleskines will be on their way to you! 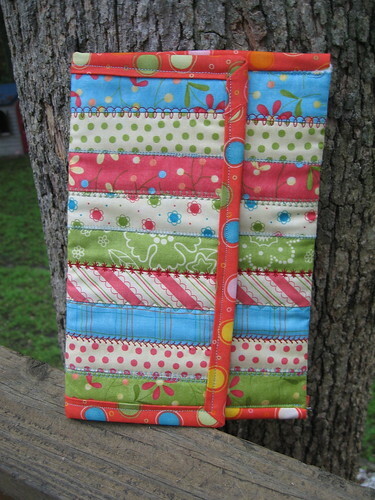 thanks to all of you who came by and entered my little giveaway. 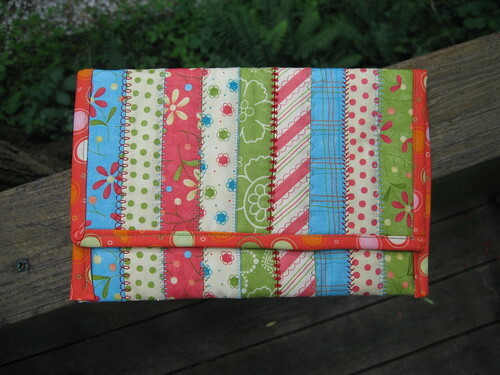 I have plenty of fabric to use, so I'm considering it a stash-buster. 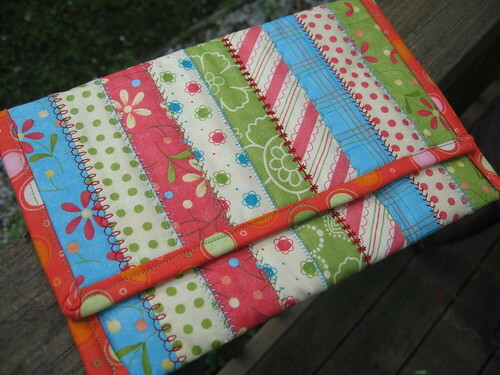 I hope to have some pictures of my fabrics tomorrow. So if you're sitting on the fence too, consider yourself nudged. It's not too late -- come join us! Thanks also for your notes of congrats on my projects being included on the Amy Butler CD. I wish I could respond to everyone individually, but the giveaway has my Inbox overrun with comments. I promise to be better about responding to your comments once things slow down! 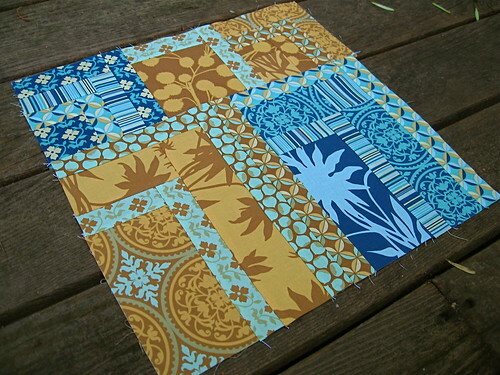 In my SewConnected group, Amy (parkcitygirl) sent out fabrics from one of my all-time favorite fabric lines from one of my fave designers, "Chestnut Hill" by Joel Dewberry. 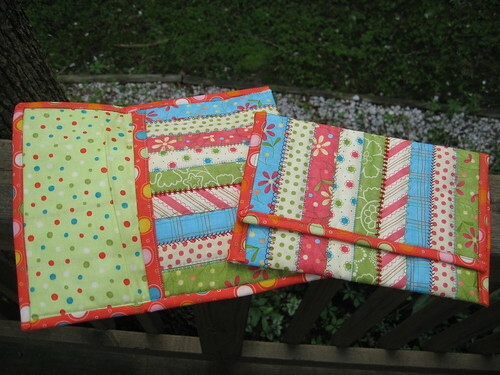 I have a stash of these myself that I haven't cut into yet, so I had great fun working on Amy's blocks! 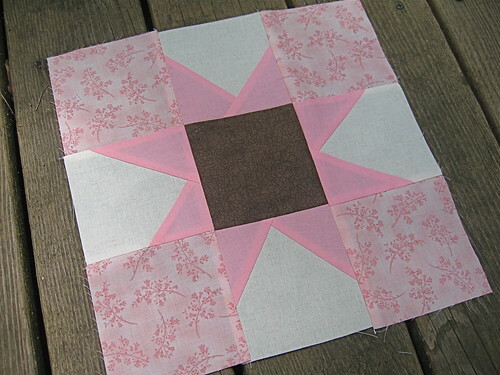 Amy asked for large, 15" blocks. 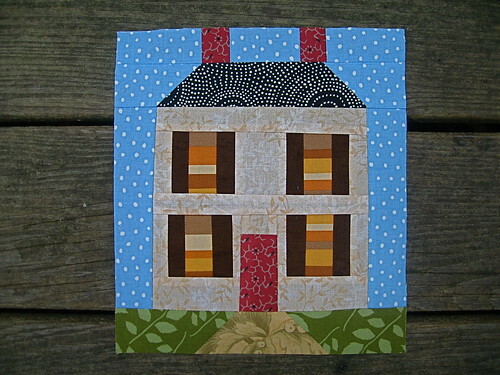 My first is a sort-of quarter log cabin design, with smaller blocks adapted from the free "Woodland Garden" quilt pattern by Scott @ Blue Nickel Studios. I even added in a few prints from the collection that Amy didn't send! 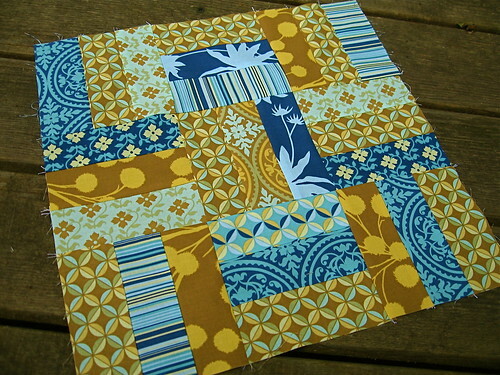 I (of course) had to make Amy a second block with my scraps, so I went with a hybrid 9-patch / rail fence design. 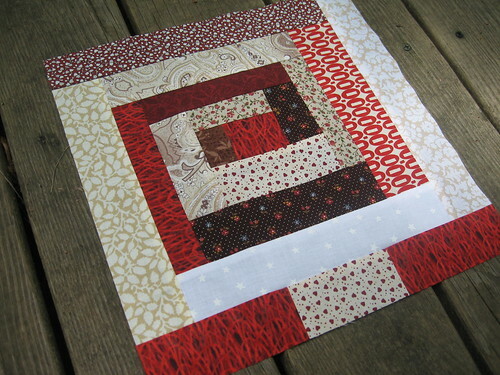 I think both blocks turned out pretty cool! 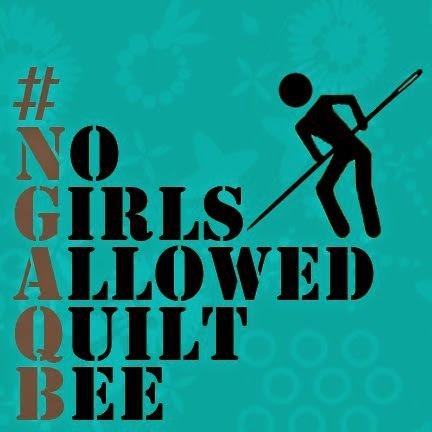 Nettie (aquiltisnice) requested flying geese for her quilt blocks in the bee inspired group. Any size geese, any size layout. 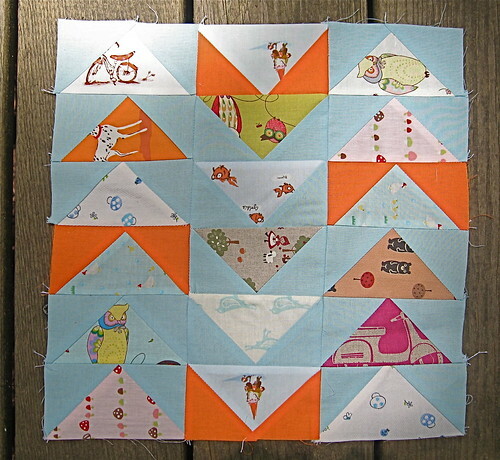 I decided to go for a flock of mini geese, mostly because I love the secondary zig-zag pattern that emerges with this layout. 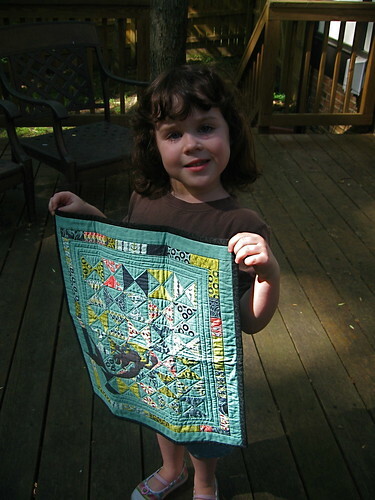 All of the novelty fabrics were so much fun to work with, and I added a few of the owls, birds, goldfish and bikes. 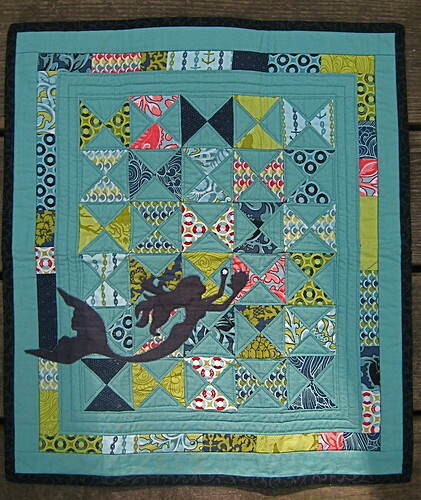 I also decided to include some solid orange, drawing from the Heather Ross dog & goldfish fabrics and the color of the gnomes' hats. 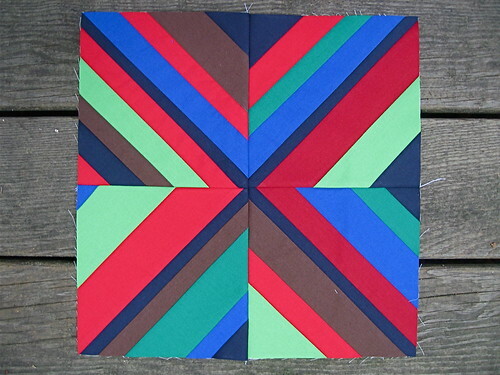 I had enough fabric left over to make another block, so I resorted back to my recent favorite go-to technique -- strings!! I love how this one came out. Another month under my belt ... 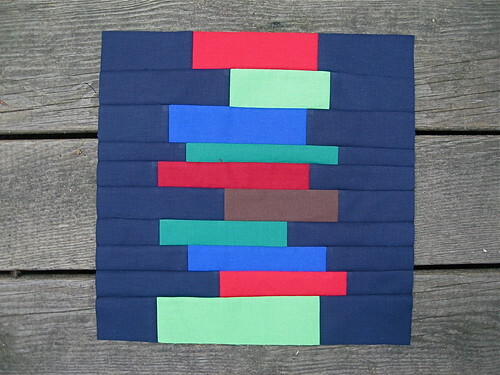 I hope everyone likes their blocks!! (I'm on the) Amy Butler Softwares CD! 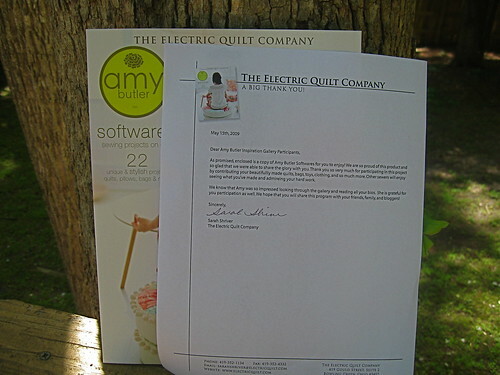 Lots of great quilt-related stuff going on around the Quilt Dad household these days ... not the least of which is the complimentary copy of the new Amy Butler Softwares package that I received recently from the nice folks at the Electric Quilt Company. Why complimentary, you might ask? BECAUSE I'M ON THE CD!! That's right! See my name up there?? 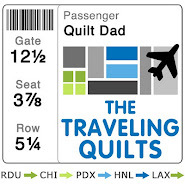 Shortly before the holidays, I received an email from Sarah at the Electric Quilt Company telling me a bit about the new product and asking if I'd be interested in submitting some items for the inspiration gallery included on the CD. 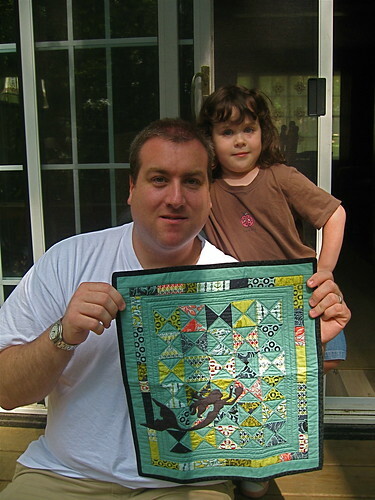 If any of you read the first few posts I ever wrote on this blog, you might remember that Amy Butler -- through her fabrics and patterns -- played a huge role in my first getting interested in sewing and quilting at all. So it was a really huge honor to be invited to play a small role in the launch of this product. I've only just started poking around the program itself, but it already looks like it is well worth the $29 it costs to purchase it. 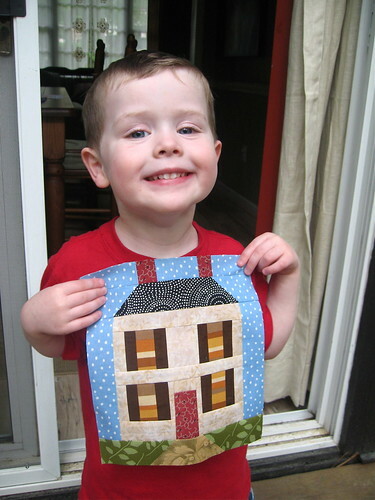 There is amazing photography and inspiration throughout and, in addition to the user-submitted projects in the gallery, there are full patterns for tons of projects from quilts to bags to items for the home. 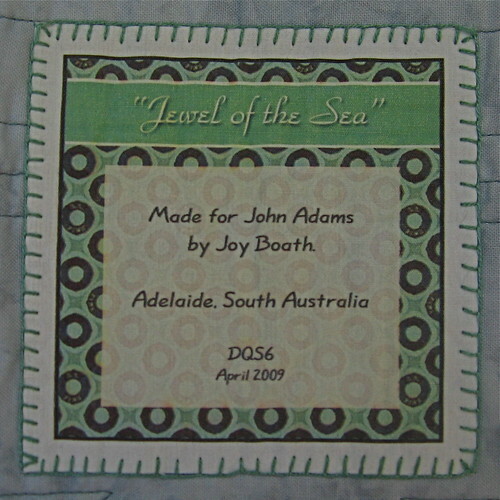 I can definitely see myself making several projects from this CD. Happy Mother's Day!! I love you!